A short walk south down Centre Street from the site of the parsonage, at the corner of Hobart Street, is the site of Ingersoll’s ordinary (or tavern). Nathaniel Ingersoll was one of the most respected members of the Salem Village community. His tavern/inn was located at a bend on the Andover Road (today Centre Street), a convenient stop for travelers and a gathering center for the village. The earliest part of the building that stands here today was built circa 1670. According to historian Charles Upham, in 1692, the Ingersoll garden abutted the parsonage orchards. Upham also describes the Ingersoll property with a separate dwelling house from the ordinary, as well as the town’s watch house, where sentinels guarded against Native American attack. Ingersoll lived on this property for seventy years. The first three to be accused of witchcraft in 1692 – Tituba, Sarah Osborne (alternate spellings Osburn, Osborn, Osbourne), and Sarah Good were scheduled to be examined here on March 1, but so many people turned up to witness the event that it had to be moved down the road to the meetinghouse to accommodate the crowd. Nevertheless, the attendees spent lots of money for tavern refreshments that day – on food, cider, and rum. Private residence. Not open to the public. Both examinations and afflictions took place on this land. In mid-March, Deodat Lawson witnessed the afflicted Mary Walcott at the ordinary, with self-inflicted teeth marks on her wrist. 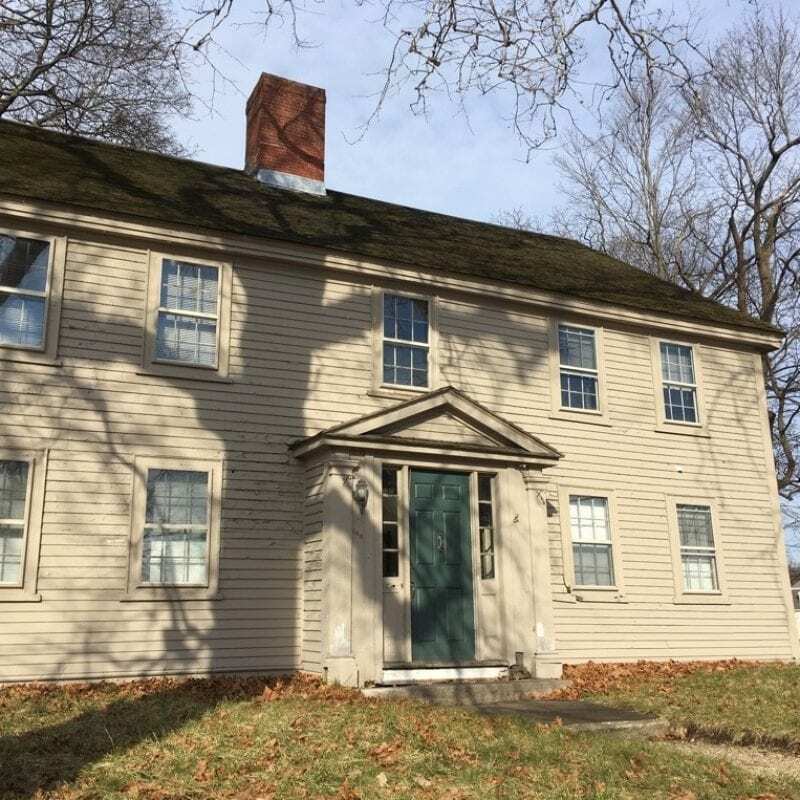 Rebecca Nurse was also held here before her examination, as was Dorothy Good. It was here that John Indian became afflicted when Elizabeth Cary from Charlestown came to town to defend herself against witchcraft accusations. Wilmott Redd of Marblehead was also examined here. April 21 saw another disturbing event at the ordinary, when Nathaniel’s adopted son Benjamin Hutchinson struck with his sword at a place where Abigail Hobbs claimed the specter of George Burroughs was seen. According to Hobbs, the specter turned into a cat, only to be picked up by the specter of Sarah Good. Hobbs’s dramatic visions ended with the sighting of a huge gathering of witches out on the hill. Nathaniel Ingersoll was born circa 1633. When his father Richard died, the 11-year-old Ingersoll inherited 75 acres of land. While still a boy, he went to live with his father’s friend Governor Endecott on Endecott’s 300-acre country estate, Orchard Farm, where he was employed as a “servant” for four years. More like an apprenticeship, this employment readied him for taking on his own home and farm when older. Nathaniel Ingersoll married Hannah Collins around the age of nineteen, approximately the same time he started his own farm. The couple had one daughter, who died young. Neighbor Joseph Hutchinson, the father of several sons, agreed that the Ingersolls could adopt one of his boys, Benjamin, and raise him as their own. Historian Charles Upham calls Nathaniel Ingersoll “the Father of the Village.” He was a Lieutenant in the militia and one of two deacons of the church – the other was his good friend Edward Putnam, the brother of Thomas Putnam. Ingersoll was reportedly fair, honest, and generous. One example of this is evident in the records regarding Reverend George Burroughs’s return to Salem Village from Maine in May of 1683. Burroughs came to settle his outstanding debts (among them, the funeral costs of his first wife, loaned to him by Captain John Putnam with whom he had initially lodged) and in turn receive his back pay. Despite his voluntary return, John Putnam had him arrested when he arrived in Salem Village. The marshal was instructed to present him with a list of debts owed. Ingersoll arose and said to Putnam, “To my knowledge you and Mr. Burroughs have reckoned and balanced accounts two or three times since, as you say, this money was due, and you never made any mention of it when you reckoned with Mr. Burroughs.” Despite this defense, and Putnam’s acknowledgement of the facts, Burroughs was held overnight at Ingersoll’s ordinary, under guard. Six villagers, led by Nathaniel Ingersoll, posted bail for his release. The case was finally settled by late June. Nine years later, Burroughs was accused of witchcraft and executed on August 19, 1692. 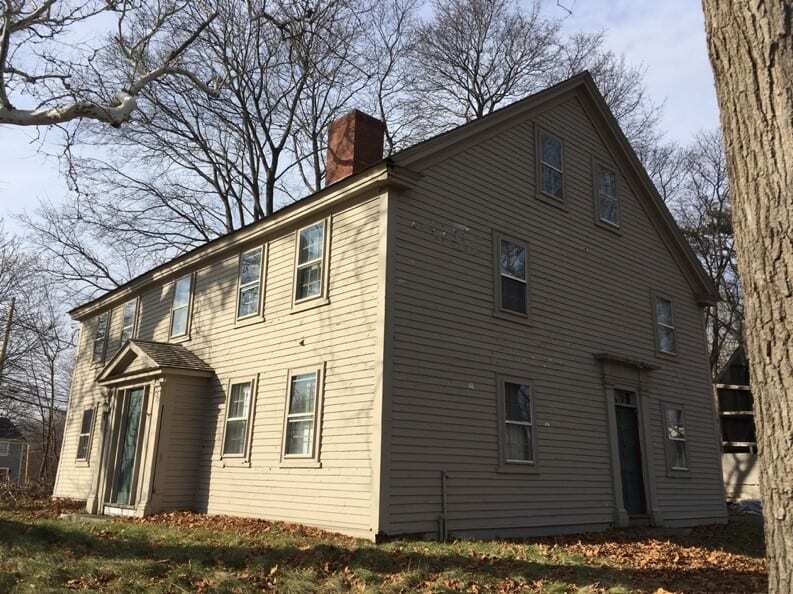 In 1701, Nathaniel Ingersoll gave land to the village on which to build the second meetinghouse: “it shall stand on Watch-House Hill, before Deacon Ingersoll’s door.” Before the new meetinghouse was built, the “elevated spot” was levelled and cleared. Nathaniel Ingersoll died in 1719 at the age of 85. He remembered his many relatives in his will, and deeded property for a training field to the town. Additional note: Nathaniel Ingersoll’s father’s friend Governor John Endecott was the longest-serving Governor of Massachusetts Bay Colony: he was the 1st, 10th, 13th, 15th, and 17th governor, serving portions of 1629-1664. His Orchard Farm was located in present-day Danversport. 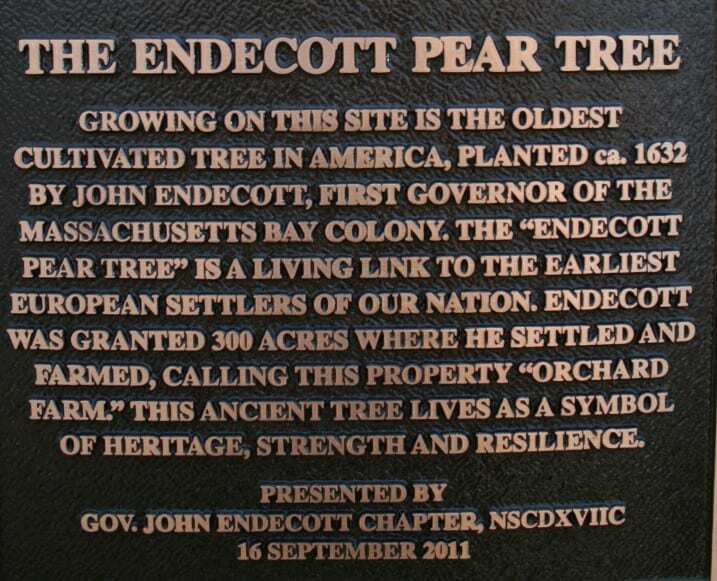 The Endecott Pear Tree, which still stands, was planted in its current location by Endecott between 1632 and 1649, and is thought to have been brought from England on the Arabella in 1630. It is America’s oldest cultivated tree. Additional note: A notable descendant of Nathaniel Ingersoll is Nathaniel Bowditch (1773-1838), the eminent mathematician known as the father of modern maritime navigation, whose The New Practical Navigator is used to this day.